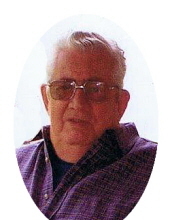 Clifford Carl Richardson, age 87, of East Clack Mountain Road, Clearfield, passed away Saturday, January 26, 2019, at St. Claire HealthCare in Morehead. Born November 9, 1931, in Clearfield, he was the son of the late Burrel and Bertha Dillon Richardson. Besides his parents, he was preceded in death by his siblings, Allie Ray Richardson, Lorene Lewis, Venard “Bob” Richardson, William “Bill” Richardson, Jeanetta Perry, and Glenmore Richardson. Clifford is survived by his wife of nearly 67 years, Lottie Mabry Richardson, whom he wed March 29, 1952; one daughter, Terri Thomas and husband Larry of Clearfield; two sons, Dennis Richardson and wife Kay of Wellington and Jeffrey Richardson of Morehead; six grandchildren, Angela Richardson Smith, Cathy Lynn Richardson, Lauren Thomas, Tierney Richardson, Chase Richardson, and Alyssa Thomas; eight great grandchildren, Hasten Richardson, Ashleigh Richardson, Heaven Wilder, Gage Wilder, Sarah Richardson, Matthew Smith, Aiden Carey, and Mason Sizemore; one great-great grandson, Aiden Richardson; and special niece, Judy Jefferson. He also leaves behind a host of nieces, nephews, extended family and friends. Clifford was well known in the area for his many years spent in the wholesale business. He was an employee of Elam Wholesale before joining his brother, Bill Richardson, at Richardson Wholesale where he was a route sales representative and delivery person in Rowan and other counties for several years. He enjoyed working in his orchard (especially taking care of his apples), fishing, hunting, and feeding the deer. He looked forward to watching the news every evening and spending time with his family, friends, most of all, his grandchildren. Clifford proudly served his country in the U.S. Army. Funeral services will be conducted 1 p.m. Wednesday, January 30, 2019, at Northcutt & Son Home for Funerals Memorial Chapel with Pastor Harley Sexton, Jr., and Pastor Matt Richardson officiating. Burial will follow in Crix Cemetery with military honors presented by Morehead American Legion Post 126. Pallbearers: Chase Richardson, Hasten Richardson, Gage Wilder, Matthew Smith, Brian Wallace, and Shawn Sizemore. Visitation is 5 p.m. to 9 p.m. Tuesday, January 29, 2019, at Northcutt & Son Home for Funerals in Morehead. To send flowers or a remembrance gift to the family of Clifford Carl Richardson, please visit our Tribute Store. "Email Address" would like to share the life celebration of Clifford Carl Richardson. Click on the "link" to go to share a favorite memory or leave a condolence message for the family.